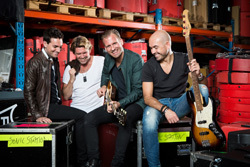 Bringing Eighties AOR melodic rock forward to the 21st century, once again, is Sonic Station, the project of Swedish guitarist and composer Alexander Kronbrink, with his second album Next Stop. To give you an idea of Sonic Station's direction, one UK radio station has called them the Toto for the 21st century. They might be on to something with that description. With more than a little Westcoast breeze, Next Stop is likely AOR melodic rock in it's purist form. It's also a platform for Kronbrink's smooth guitar playing which offers and easy blend of rock edge to jazz fusion. His next strength is found in the depth of his song composition. 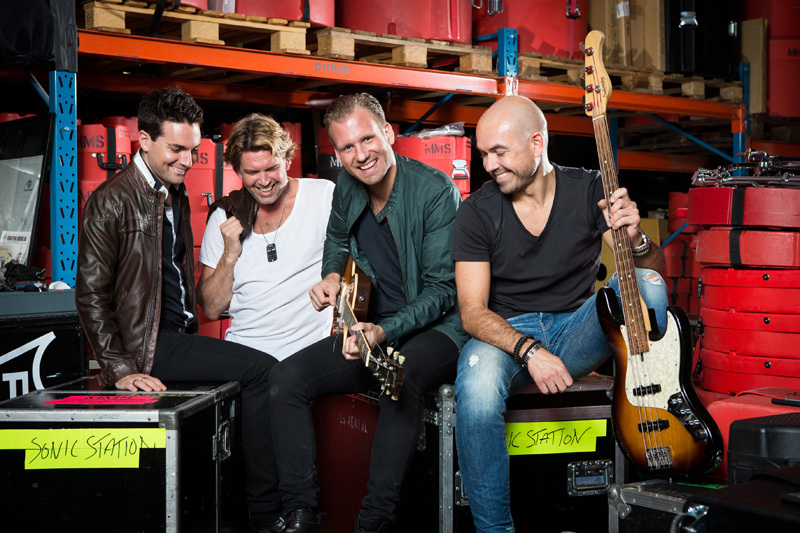 Kronbrink is definitely well-versed in his chosen genre and it comes through as he moulds melody and harmony, instruments and voice, into polished melodic rock. Sonic Station also offers two lead vocalists, one male and female, with Johan Boding getting the lion's share of the vocal duties. 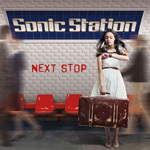 The album gets off to a rocky start with Amelia finding Sonic Station trying to sound too much like AOR stalwarts Toto. I don't know if I would have chosen it for the first single. (Maybe Love Clash or Broken Man.) But it does give you a preview of what lies within. The following Catch Me If You Can is much more inspired and promising, not the least of which is due to Kronbrink's powerful solos. You get more of that airy Westcoast vibe with Stopped Beating and Where Are You Now, one of three songs to feature the smooth clear voice of Marika Willstedt. For ballads, on the more traditional side there's Fool For Your Love; on the anthem side, Broken Man, with one of the most moving vocal arrangements of the entire album. For a rocker with a deeper sound Love Clash fills the bill. It has that right mixture of groove, melody, and catchy refrain to tickle your ears and, surprisingly, it's done without a Kronbrink guitar solo. What's up with that? But wait. The solos are pretty fandamntastic in the last two numbers Last Goodbye and Hide and Seek with both songs offering Kronbrink masterful melding of AOR and Westcoast into his melodic rock. Marika Willstedt is particularly passionate on the latter song. Is Sonic Station the next Toto? I'm sure Kronbrink and company would both be pleased with and bristle at the comparison. Nevertheless, as said earlier, Sonic Station has the AOR melodic rock genre nailed. Easily recommended. With more than a little Westcoast breeze, Sonic Station's Next Stop is likely AOR melodic rock in it's purist form.